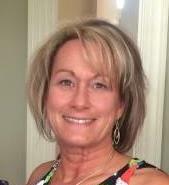 Rebecca DeMary, Director, has a Masters Degree in Counseling from West Virginia University. She is a Licensed Clinical Addiction Specialist, a Licensed Professional Counselor, a Certified Clinical Supervisor, a Distance Credentialed Counselor, and is trained in EMDR therapy. Janet Ruffin who has a degree in Criminal Justice is the Pretrial Services Coordinator for Rowan County, and she provides the Lifeskills class. James Boyd has a Bachelors Degree in Sociology from Evergreen State College. He is a retired Vocational Rehabilitation Counselor for the NC Division of Rehabilitation Services, and he provides substance abuse treatment groups.